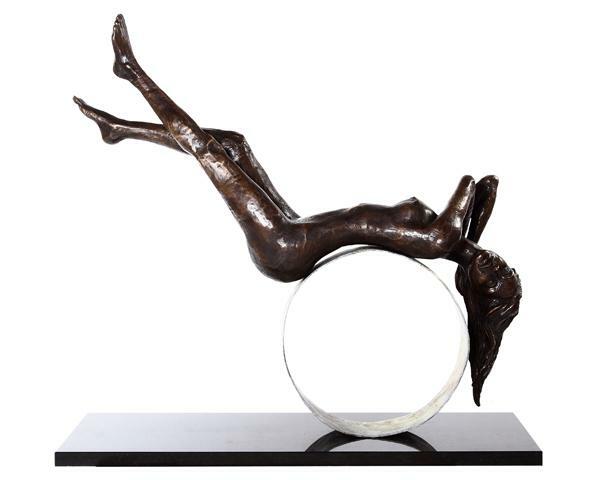 Marke Meyer has specialized in figurative sculpture from wine-glass size to life-size pieces. Every form presents a new challenge to him. The value of your piece is guaranteed by the fact that editions are all limited to fifteen casts only. Commissions will be considered too. Bronze in it's natural state is a very bright gold. 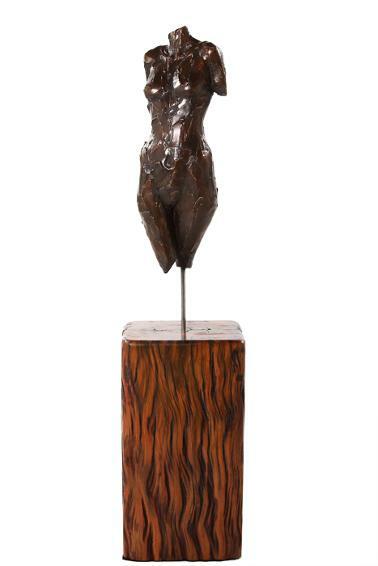 The 'patina' is the colour of the surface of the bronze which the artist chooses. This is done using various chemicals and a blow-torch to create a permanent surface colour. Please click on each name below for more images, sizes & prices of each sculpture.